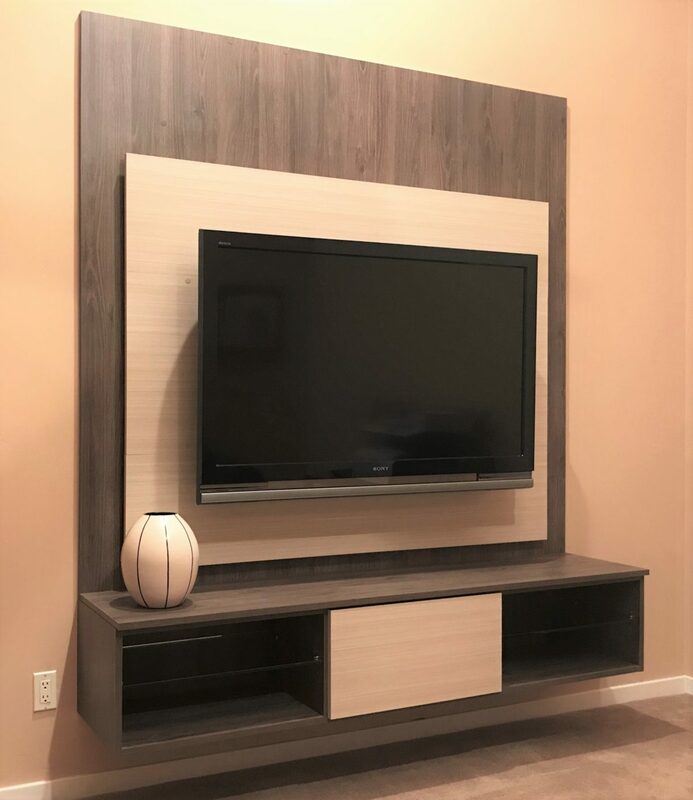 We specialize in creating TV media walls custom made for you. 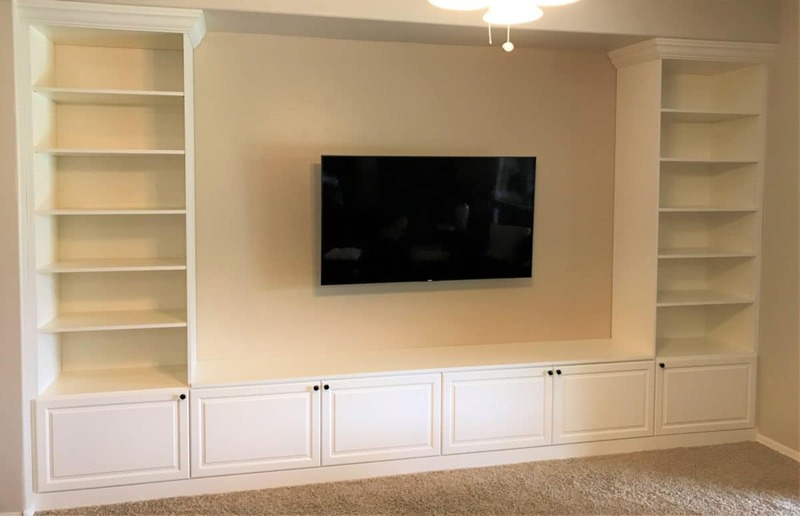 Our mission is to use our experience to develop a stylish, useful, organized space for your home entertainment center needs. 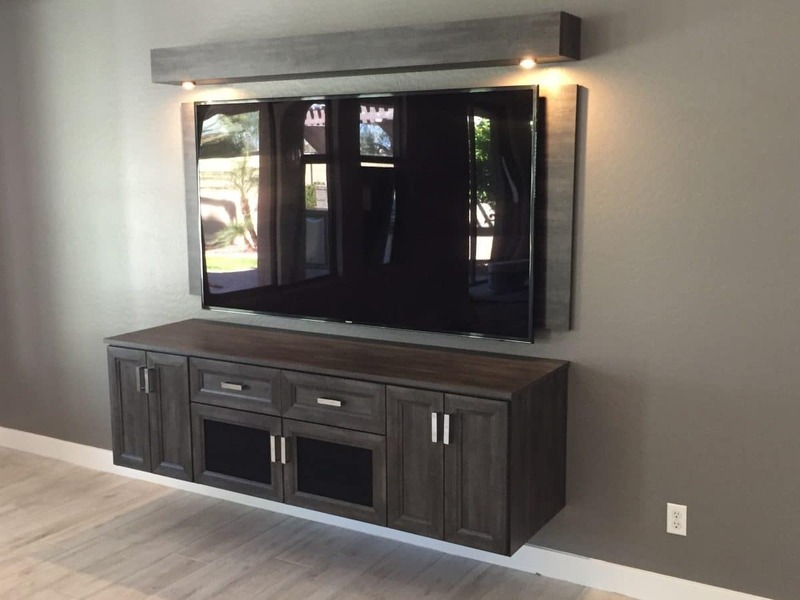 Our floating entertainment centers give a fresh, modern look to your living space. 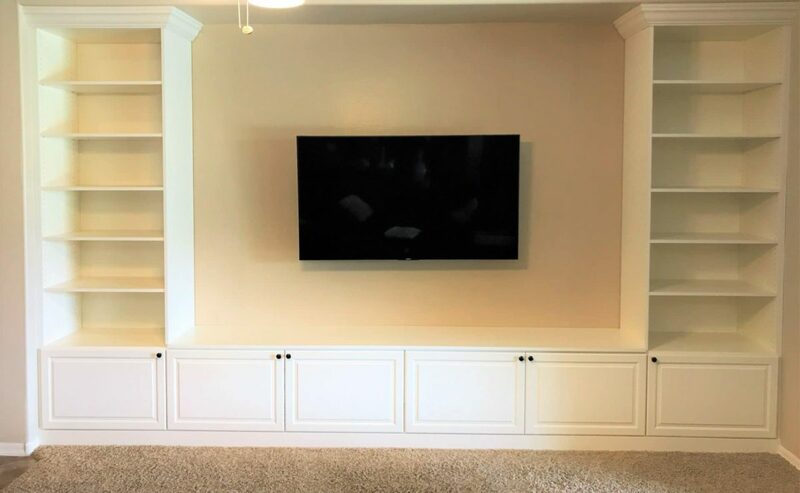 For a more traditional look, we design built-in entertainment centers that are floor based with crown and base moldings. 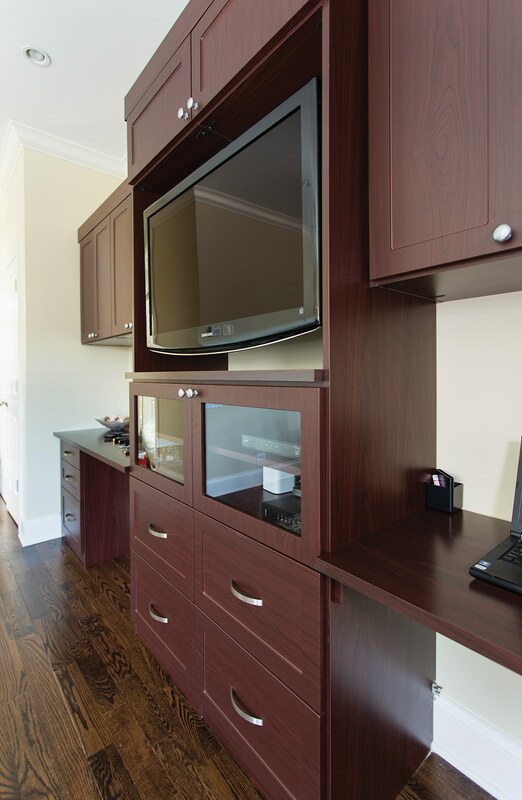 We also create TV media wall units that appeal to a contemporary aesthetic. 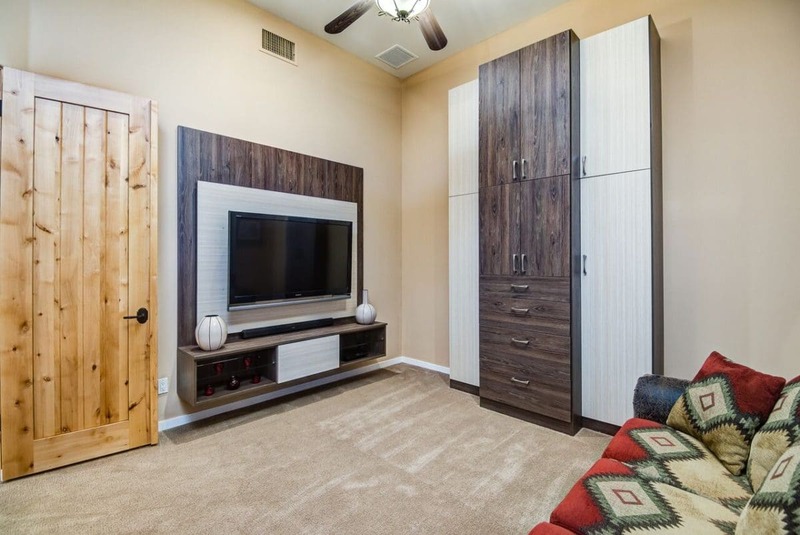 Take the first step and schedule your free design consultation with Austin-Morgan Closets. 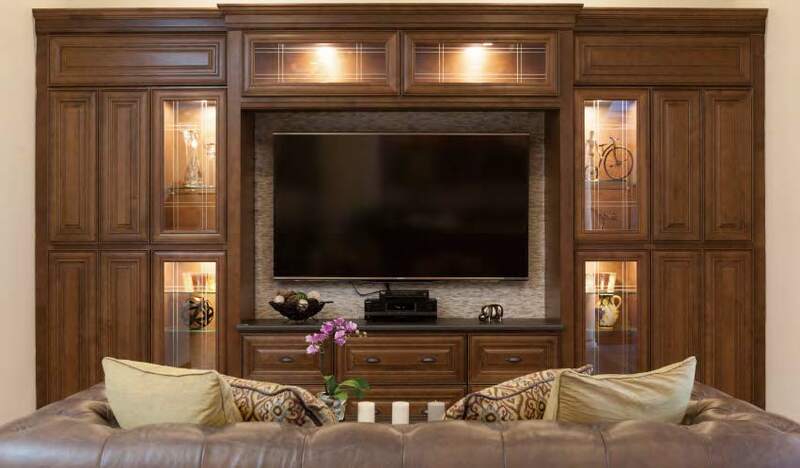 Creating an entertainment center that reflects you and your home’s unique design style is easy with our vast selection of finishes, door styles and accessories. 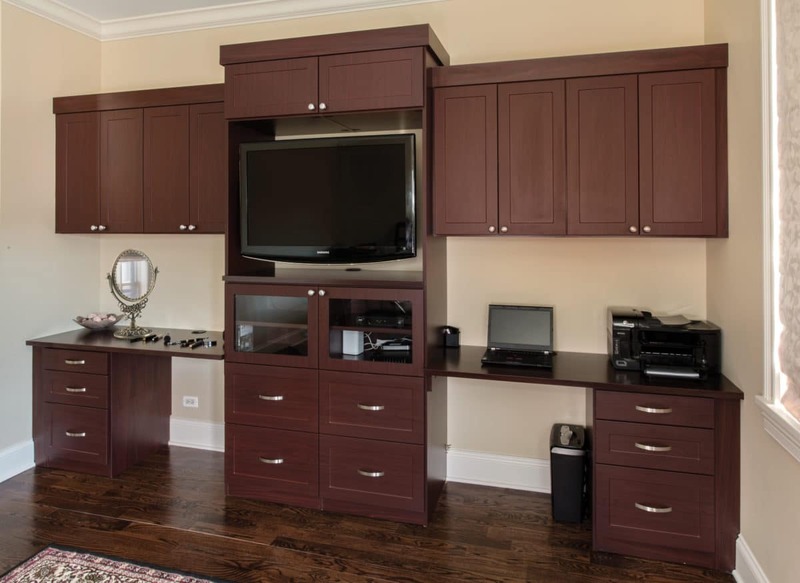 We offer more than 30 finishes and 16 door & drawer styles with 8 door & drawer panel inserts for you to choose from. 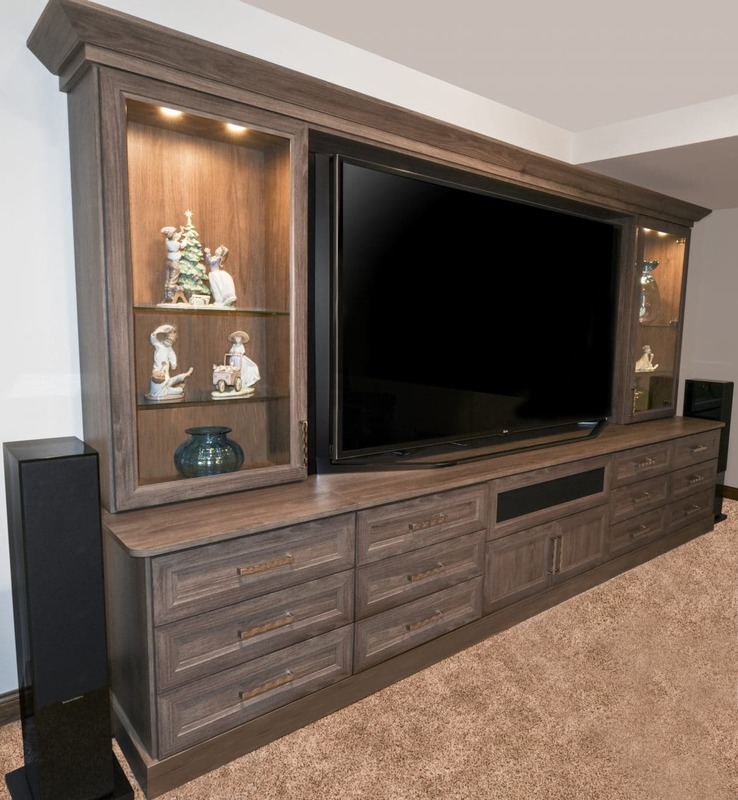 We take you step by step through the design selection process to create the entertainment center you have been dreaming of. 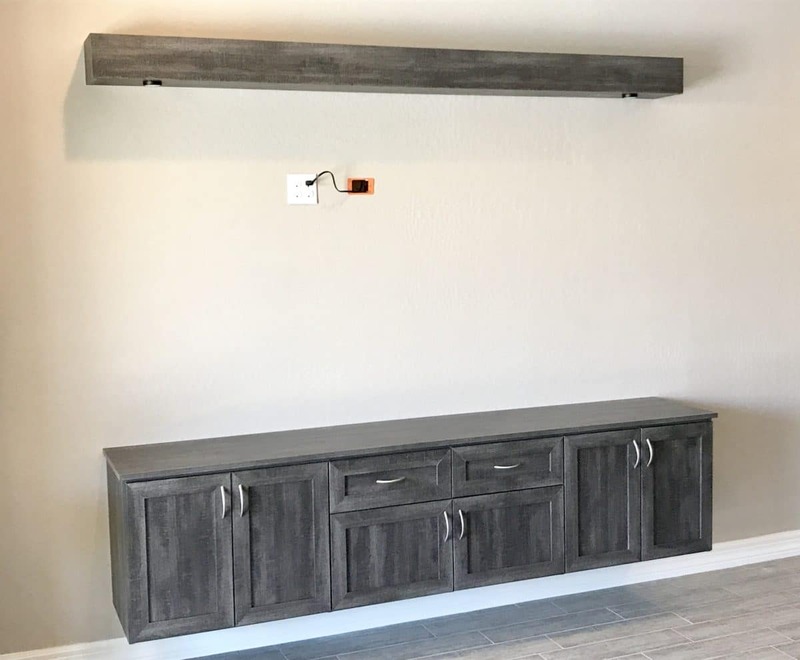 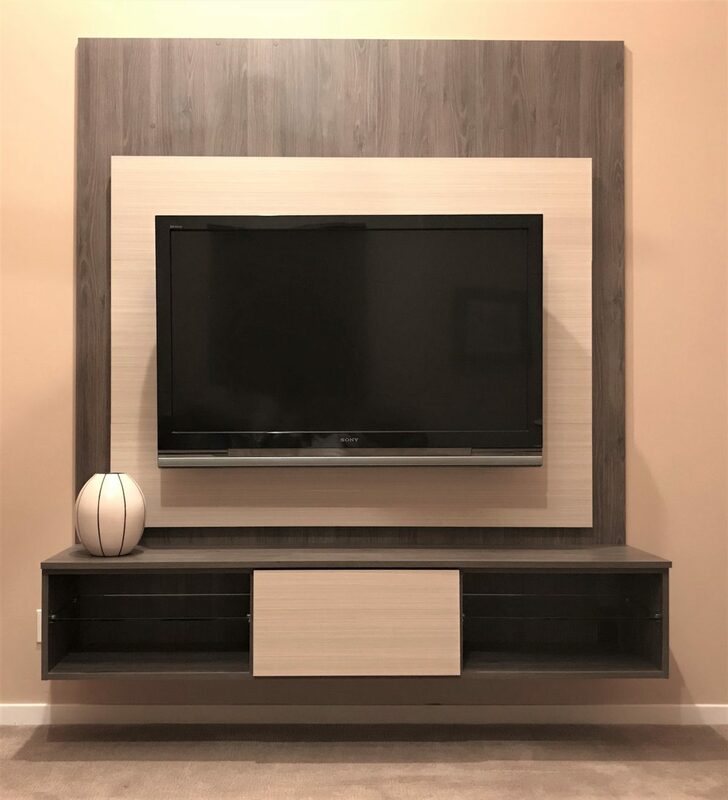 Personalize your custom TV stand with pull-out interior shelves or flip-down doors for easy access to media equipment, glass shelving for displaying your home décor and LED lighting to accent it all. 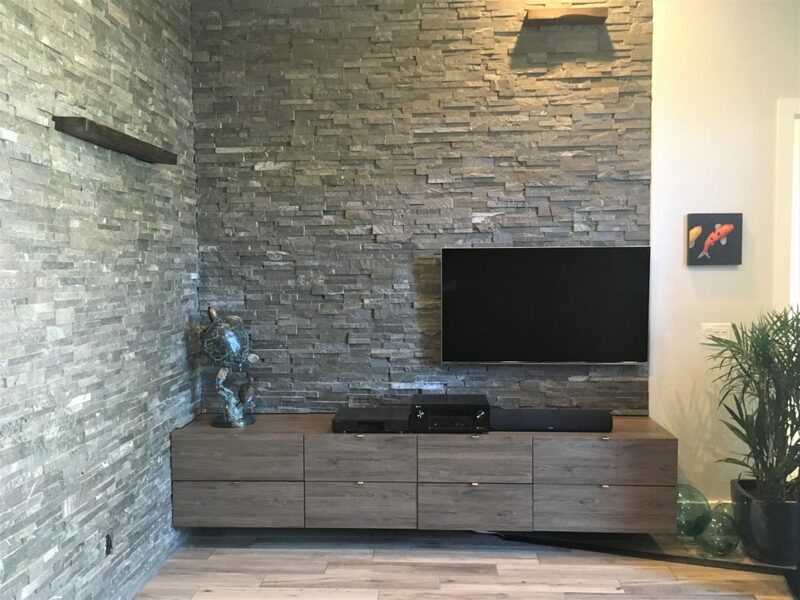 Whether your decorating style is traditional, modern, transitional or contemporary we know that you will be pleased with the resulting design. 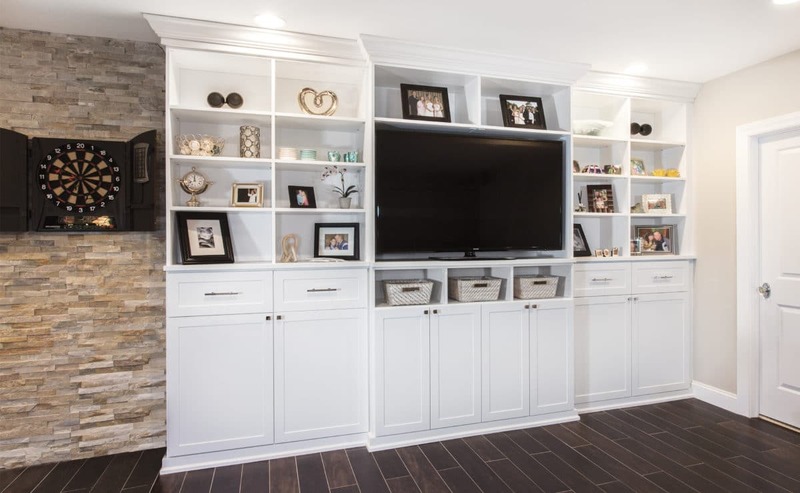 Entertainment centers become focal points in your home that everyone will envy! 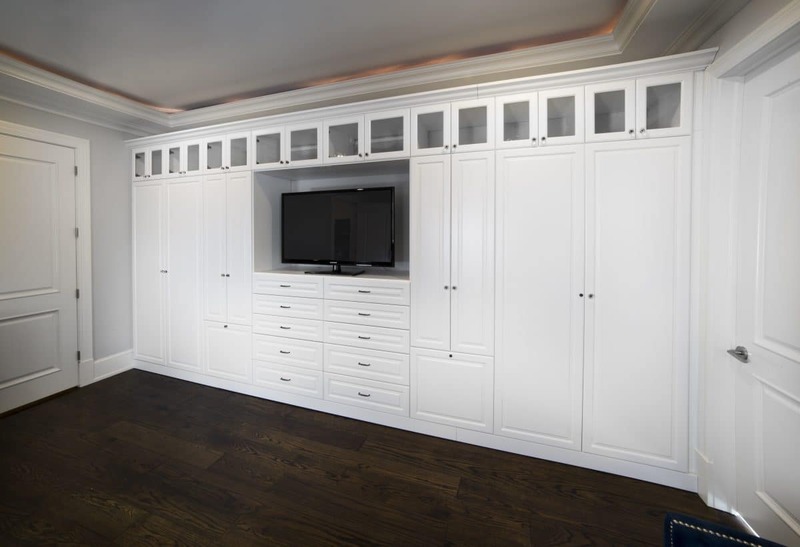 A well-designed, custom built-in wall unit will accommodate the TV you have today and plan for your future TV ambitions. 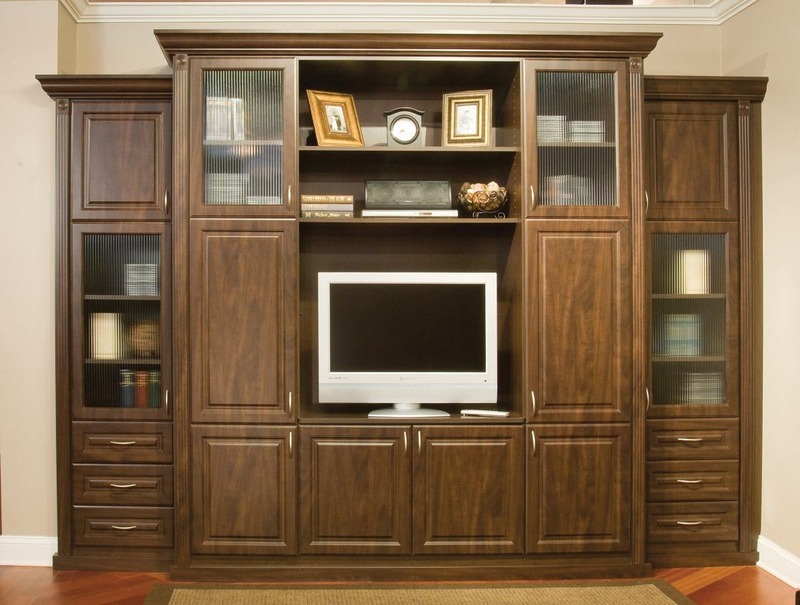 Don’t settle for a temporary solution to your entertainment center needs. 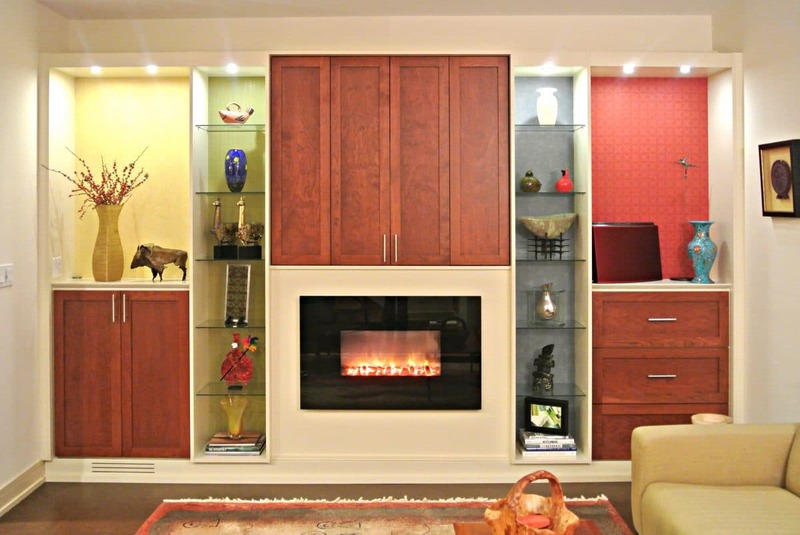 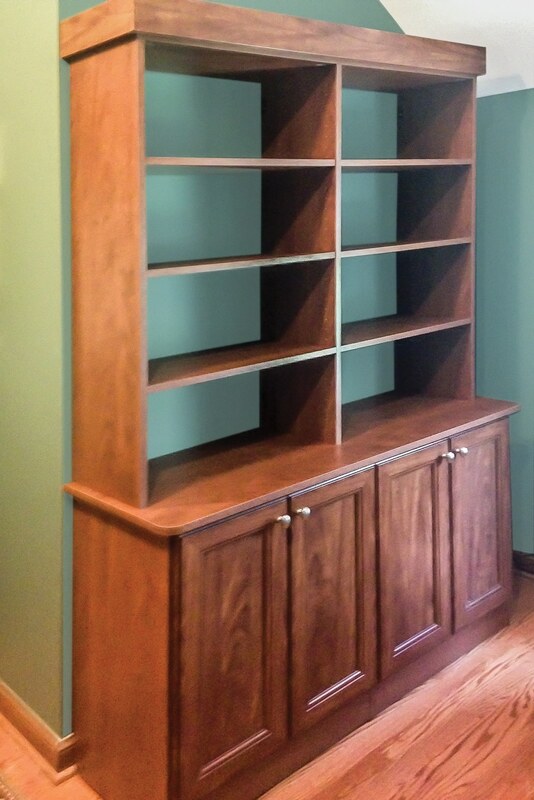 Let us create a custom entertainment center that will stand the test of time. 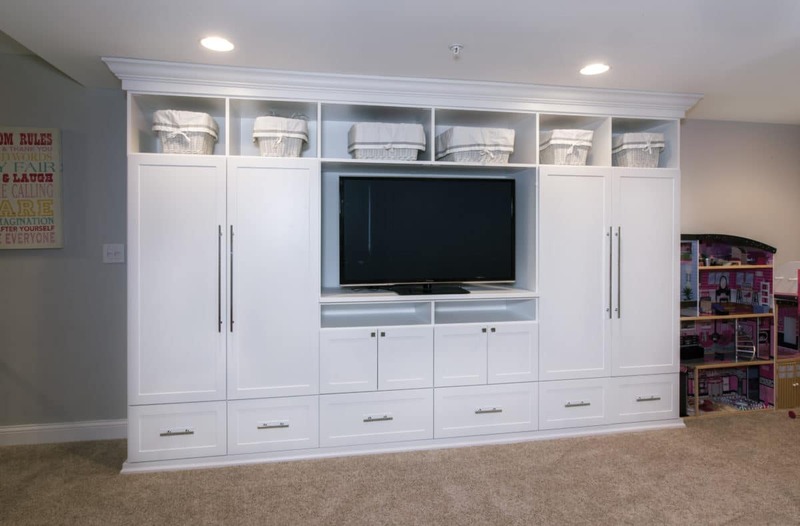 We create the perfect storage solution for your collectibles, media, and entertaining needs. 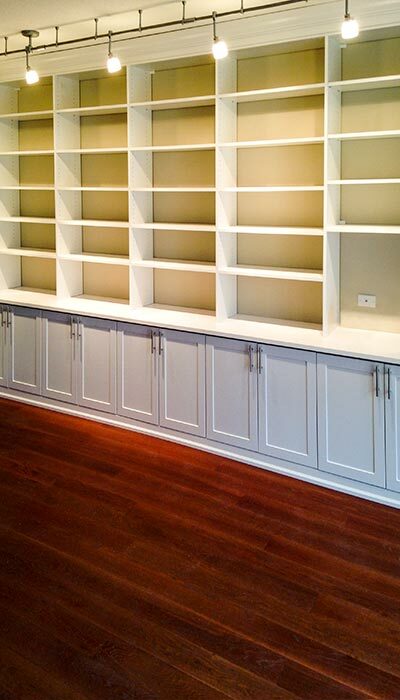 Adjustable shelving, drawers and cabinets give you the ability to handle any changes to your storage requirements. 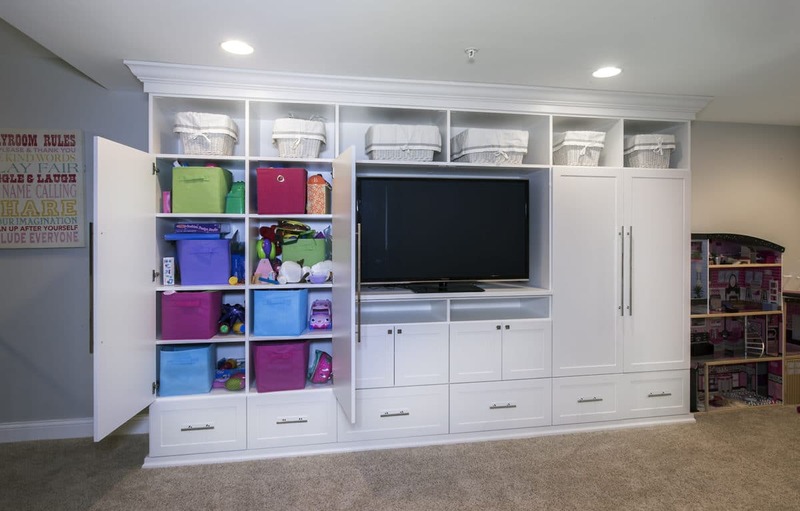 Providing you the flexibility, storage and organization that will grow with your family. 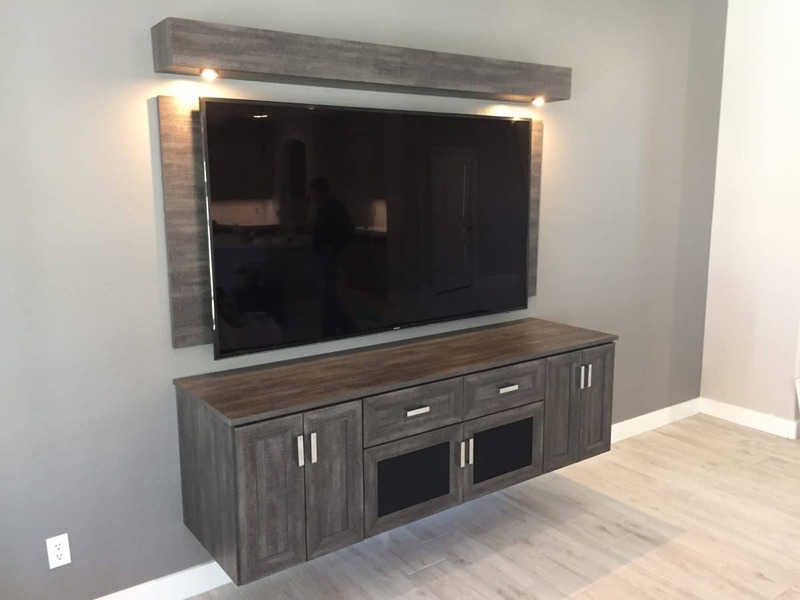 Whether you have a full media wall to fill or a small niche in your living space, we create beautiful entertainment centers that will provide years of enjoyment. 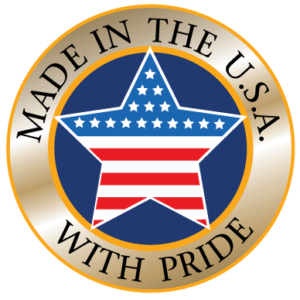 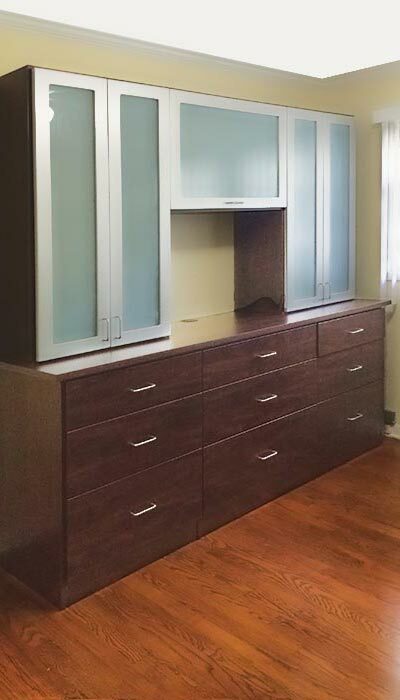 Call Austin-Morgan Closets at 623-986-0644 to schedule your free design consultation. 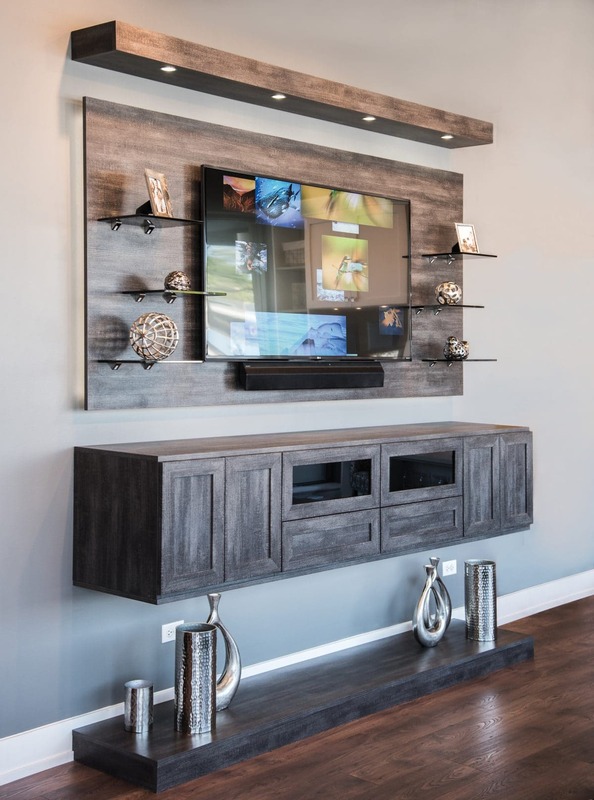 Look through our entertainment center gallery below or download our catalog for further inspiration. 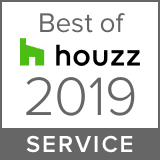 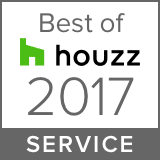 You can also see some of our projects on Houzz. 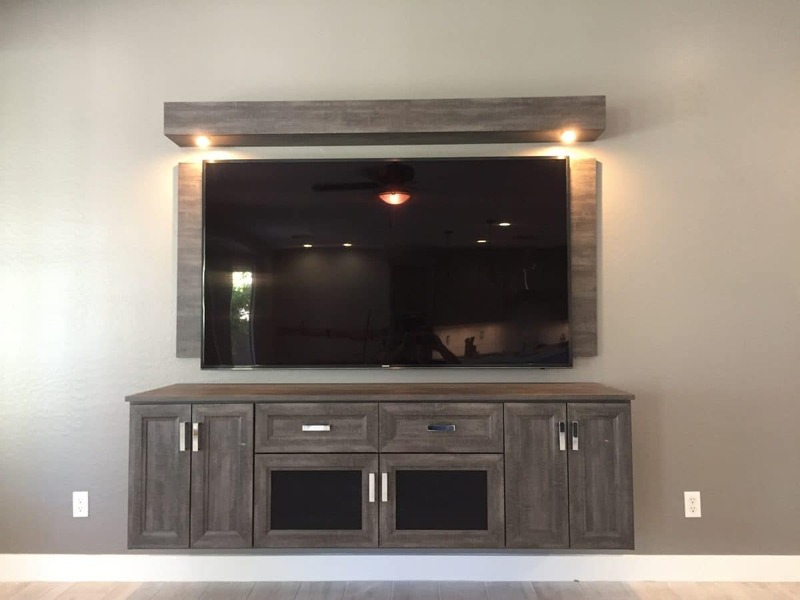 Build Your New Entertainment Center Today!